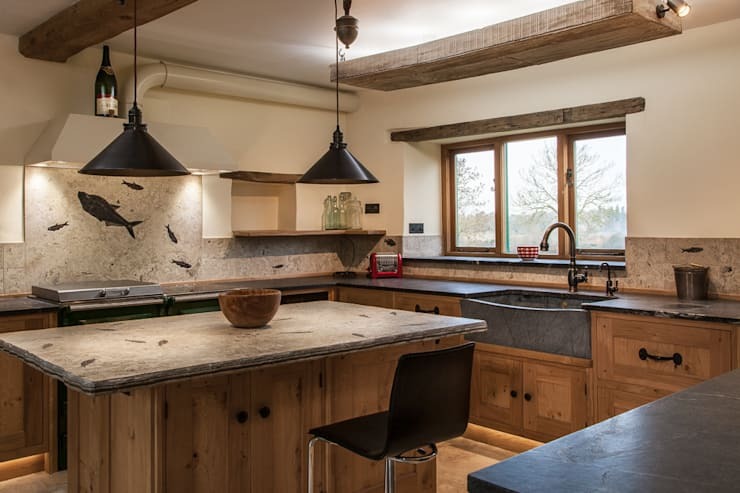 In this edition of homify, we look at some fantastic modern kitchen ideas, but the difference is that these kitchens have incorporated some amazing rustic style in the form of the kitchen sink. It’s a great way to add some personality and charm to your home. 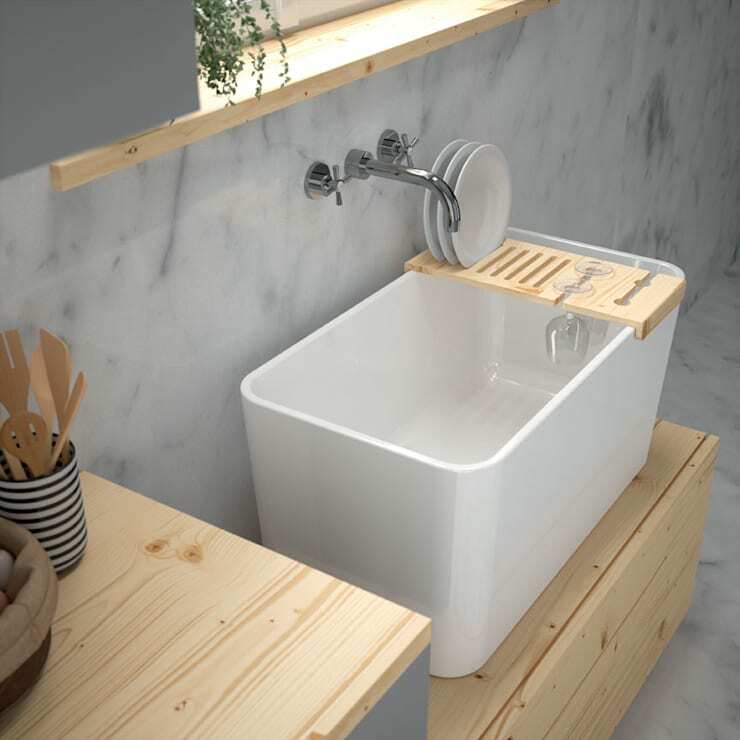 Adding a stylish sink to your kitchen could just be the way to make your home more elegant and chic. But, let’s explore these 7 kitchens for some design inspiration! This kitchen is simple and unbelievable, the wooden cabinets, rustic countertops and raw stone sink is the perfect combination. Every aspect of this gorgeous kitchen has been planned, and the chosen faucet definitely adds to the rustic style that makes this kitchen authentic. There are people that spend every extra moment of their lives in the kitchen, while there are others that hardly spend any time in the kitchen and would opt for a minimalist and flawless style choice such as this. 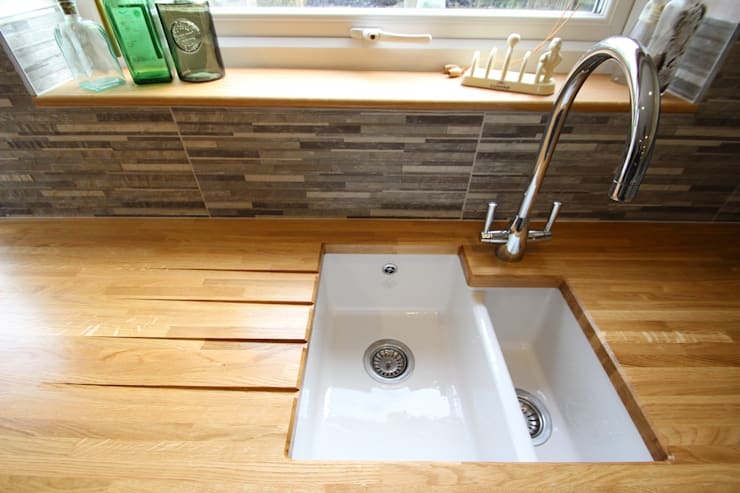 If you like the idea of a double sink, but want something different with varying heights to serve different purposes in your kitchen, then this sink is a fascinating choice. It’s quirky and stylish too! There’s nothing more sensational then a practical and functional modern kitchen that is spacious and comfortable, and the architects of this home ensured that the kitchen is full of rustic style and classic neutral colours. 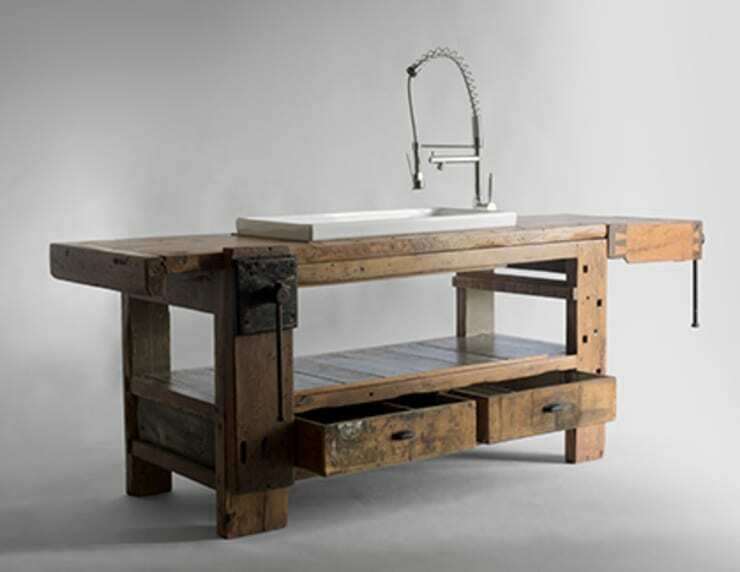 This kitchen island is original and traditional in design, it’s made from an old workbench that has been fitted with a sink. How’s that to make a statement in your fantastic and cosy kitchen? 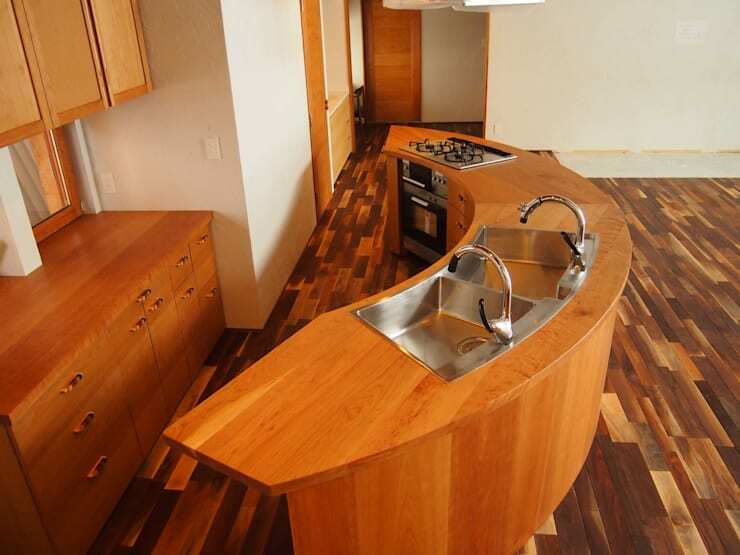 There is something undeniably stylish about this curvy kitchen island and sink area. The light wood is friendly and warm, while the steel sink is an easy to maintain yet elegant choice for a kitchen. The wood and metal make a superb combination. 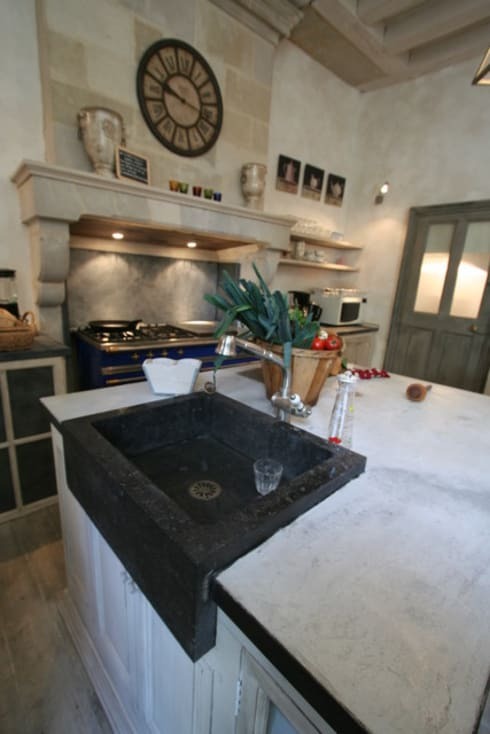 This black sink is an extreme rustic choice, especially when paired with this white stone countertop. The style is an old fashioned take on monochrome ideals, but that doesn’t mean it’s any less spectacular! Here are: 8 Great Rustic Kitchens. 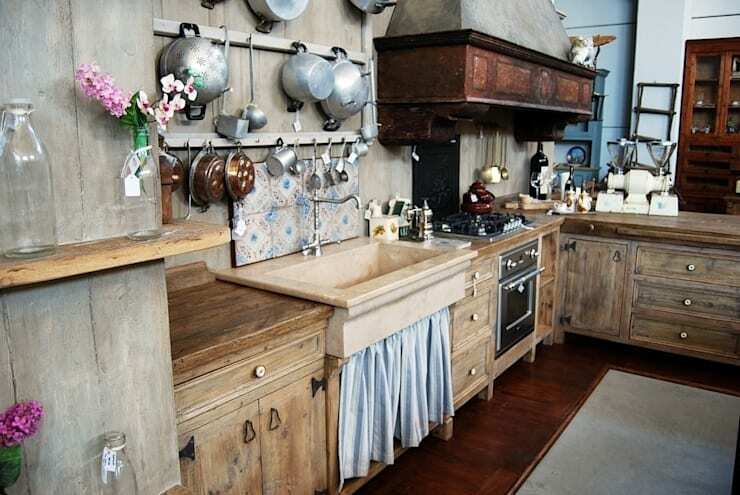 Which rustic kitchen sink is your favourite?